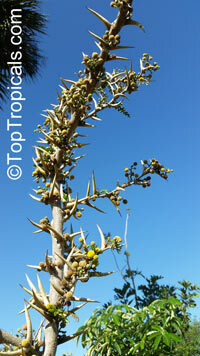 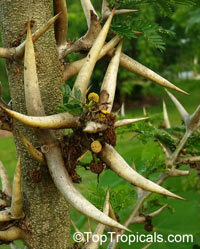 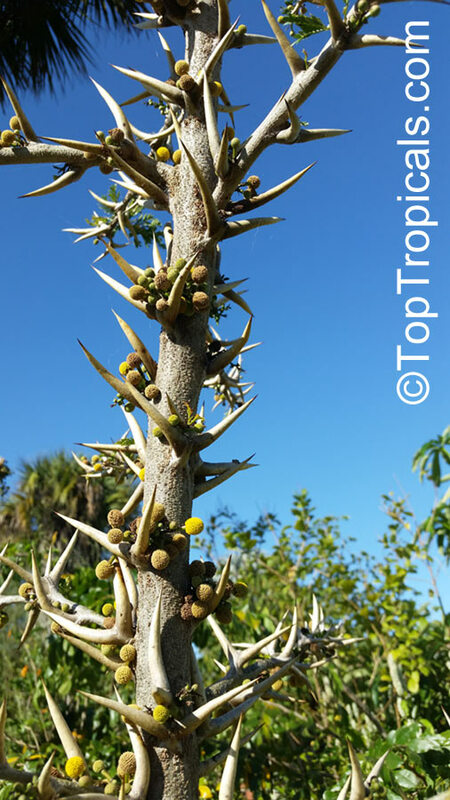 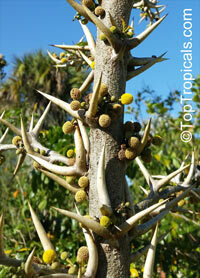 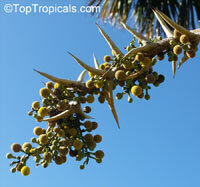 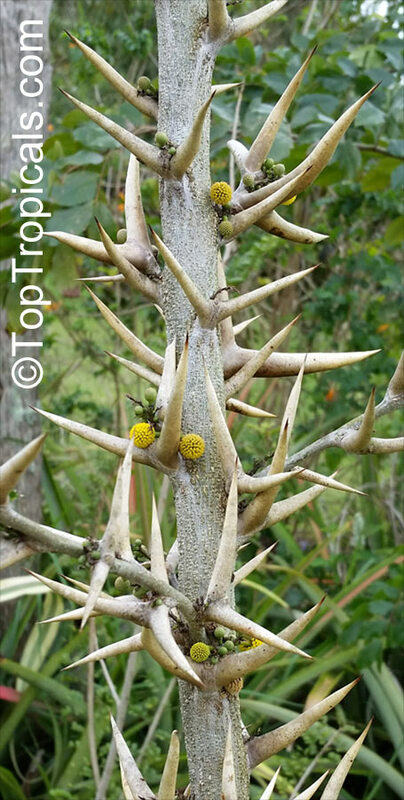 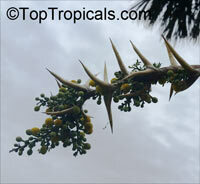 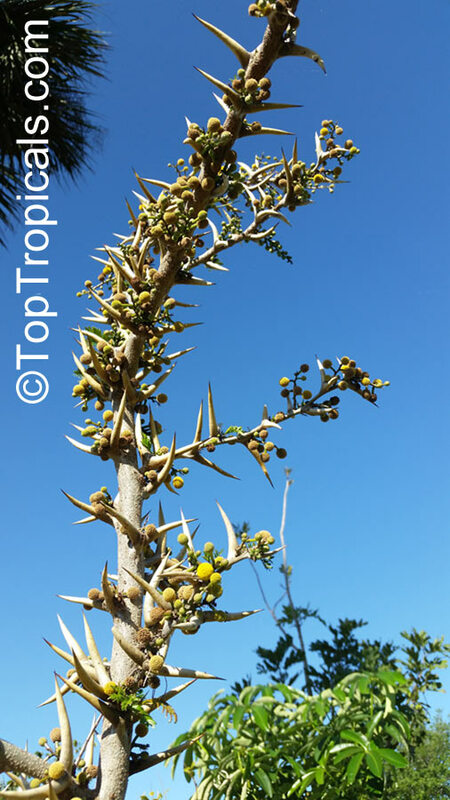 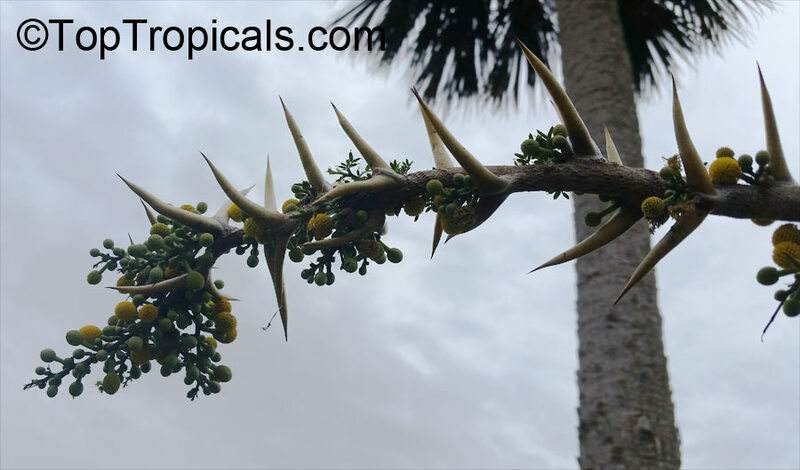 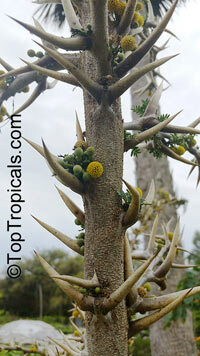 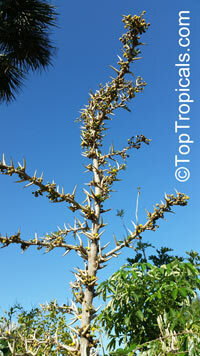 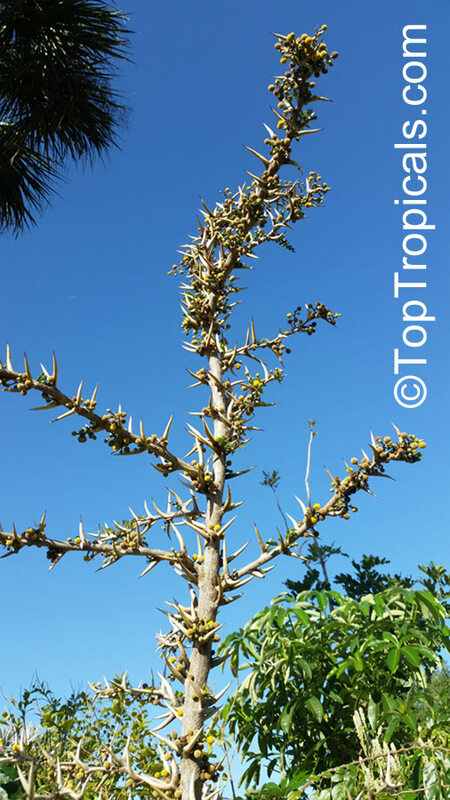 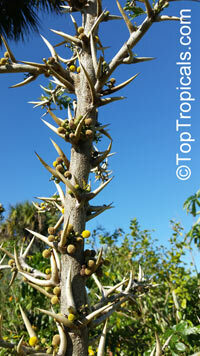 The name comes from the shape of the thorns which do indeed resemble the horns of a bull. 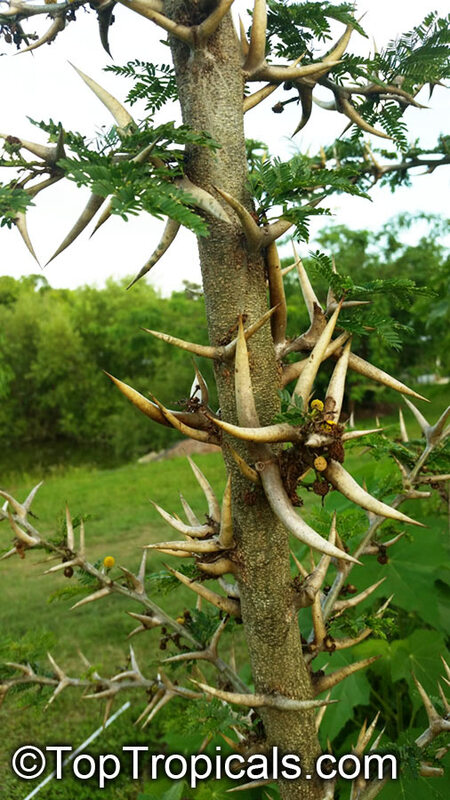 The tree has a strong, symbiotic relationship with a species of ant, Pseudomyrmex sphaerocephala for which it is the obligate habitat. 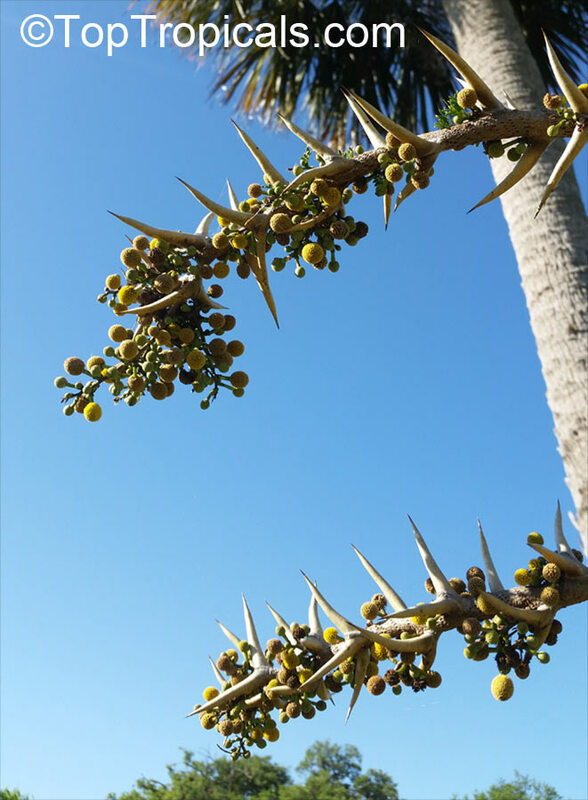 The ants act as caretakers for the tree, and clear the ground and keep it free of any other plants and even prune surrounding branches of other trees that threaten to outshade the acacia. Without the protection of the ant colony, the acacia tree would fall vulnerable to chewing insects such as beetles or caterpillars, and surrounding trees and shrubs would quickly outcompete the acacia without the maintnance work of the ants to keep the tree safe. Close related species - Acacia collinsii. Bulls-Horn Acacia. 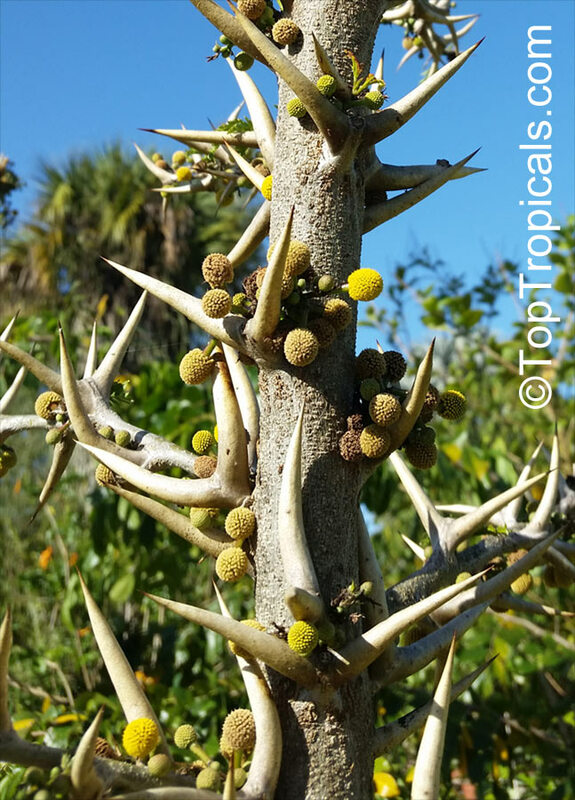 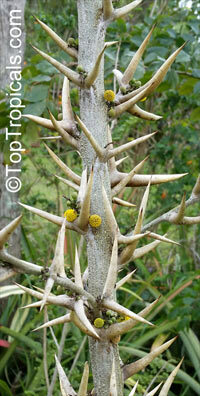 The name comes from the shape of the thorns which do indeed resemble the horns of a bull. 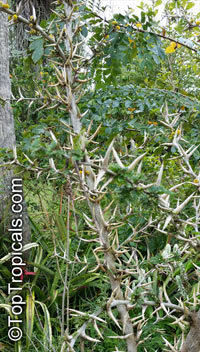 Rare species.This item is certified for shipping to California.